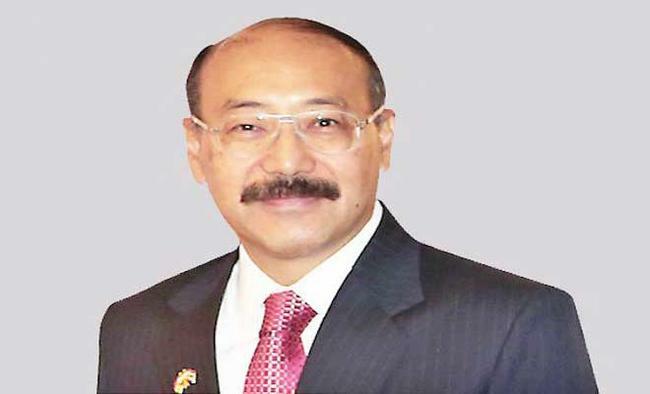 Dhaka: Rohingya refugees' return to Myanmar's Rakhine state should be safe, speedy and sustainable, Indian High Commissioner to Bangladesh Harsh Vardhan Shringla said on Monday.In his first visit to Bangladesh's Kutupalong refugee camp, inhabited mostly by Rohingya Muslims, Shringla said India was focussing on three "Ss" to address the Rohingya crisis, bdnews24.com reported. Bangladesh is currently providing shelter to over 1 million Rohingyas who fled "ethnic cleansing" in the Rakhine state.The High Commissioner handed over relief materials to Disaster Management and Relief Minister Mofazzel Hussain Chowdhury Maya for Rohingyas refugees living in Bangladesh. Over 1.1 million litres of super kerosene oil and 20,000 kerosene multi wick stoves were handed over in the third phase of humanitarian assistance from the Indian government to Bangladesh, reports say.The Bangladeshi Minister thanked India for its fuel support and said the latest round of Indian aid will help over 20,000 families for five months. "Fuel is a big problem and it's a complex issue. We sought support from India and they responded very positively. We thank them for this support," said Maya.The Rohingya exodus from Myanmar to neighbouring Bangladesh began in August 2017 after a crackdown by the Myanmarese military that the UN likened to "ethnic cleansing with signs of genocide through killings, rapes and the razing of houses that year". But the Myanmar government says it was fighting militants from the Arakan Rohingya Salvation Army and was not targeting civilians.In September 2017, the Indian government under "Operation Insaniyat" extended the first phase of humanitarian assistance comprising of 981 tonnes of relief supplies. The relief material consisted of family packs of rice, pulses, sugar, salt, cooking oil, tea, ready-to-eat noodles, biscuits and mosquito nets.In May 2018, 373 tonnes of relief materials, including 104 tonnes of milk powder, 102 tonnes of dried fish, 61 tonnes of baby food, 50,000 raincoats and 50,000 pairs of gum boots for the rainy season were handed over in Chattogram. Earlier, the Myanmar government agreed to a deal with Bangladesh to repatriate refugees, but few have returned. The Rohingya leaders say they would not go back unless they were guaranteed safety.Myanmar's leader Aung San Suu Kyi has faced international outrage for not condemning the Army's actions in Rakhine state.A predominantly Buddhist country, Myanmar denies Rohingyas citizenship. The government even excluded them from the 2014 census and refused to recognize them as a people.